1. 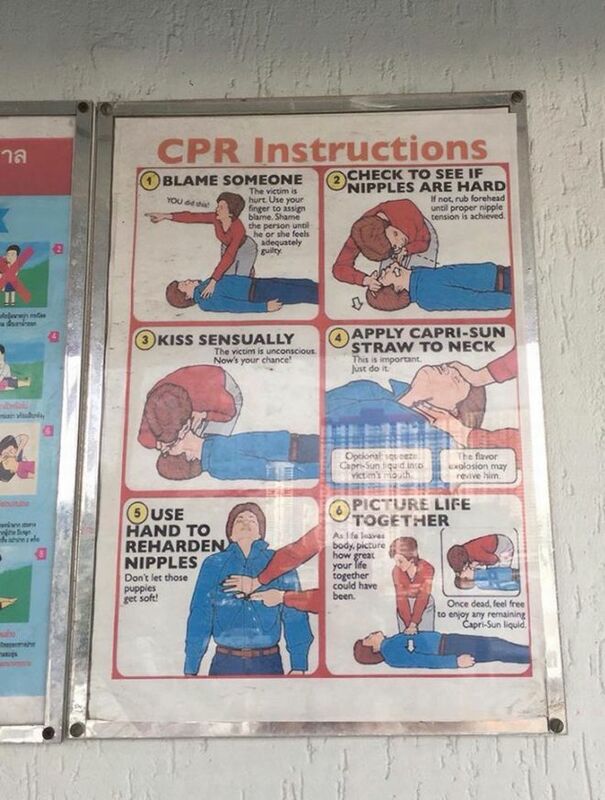 CPR instructions next to the pool at a hotel in Thailand. 2. 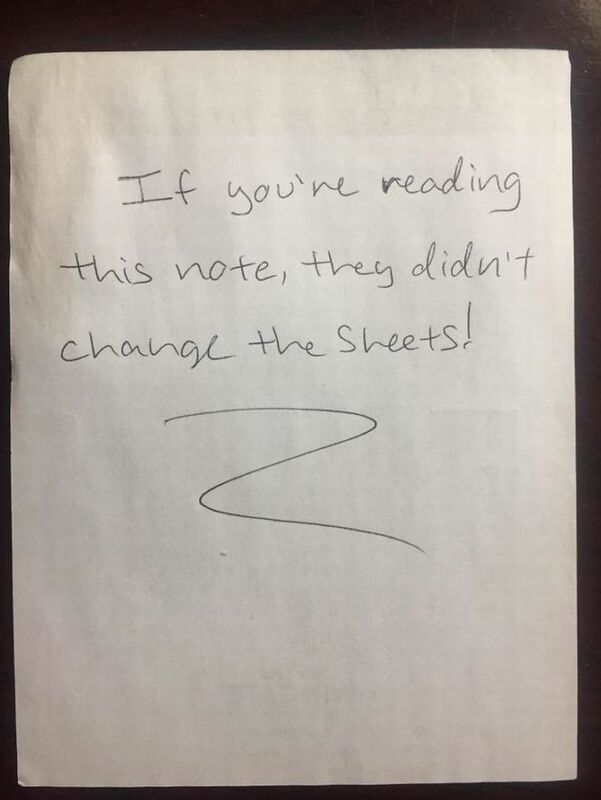 Someone found this note in their hotel bed last night. 3. 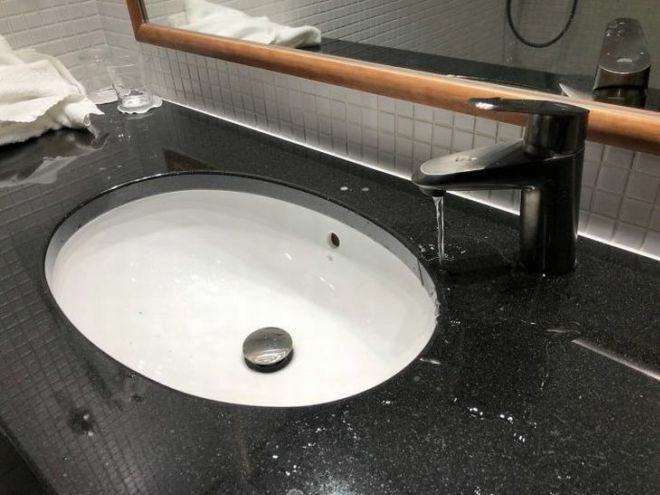 The sink at a hotel in Helsinki. 4. 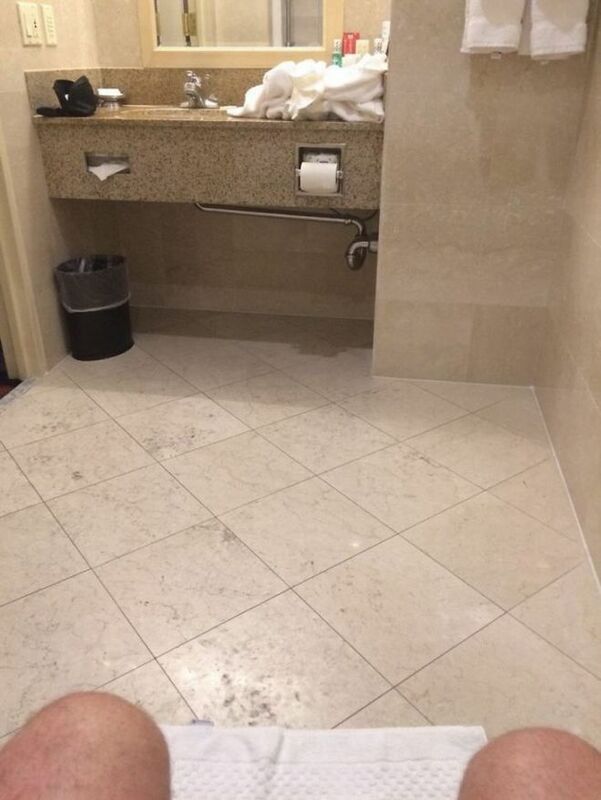 This toilet paper holder. 5. 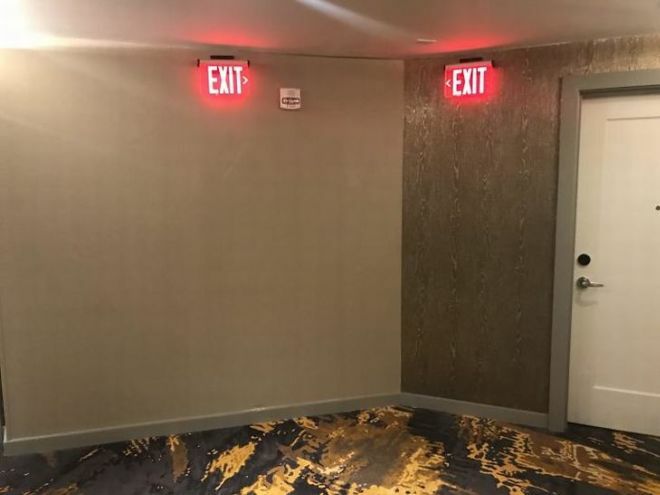 Welcome to the Hotel California. 6. 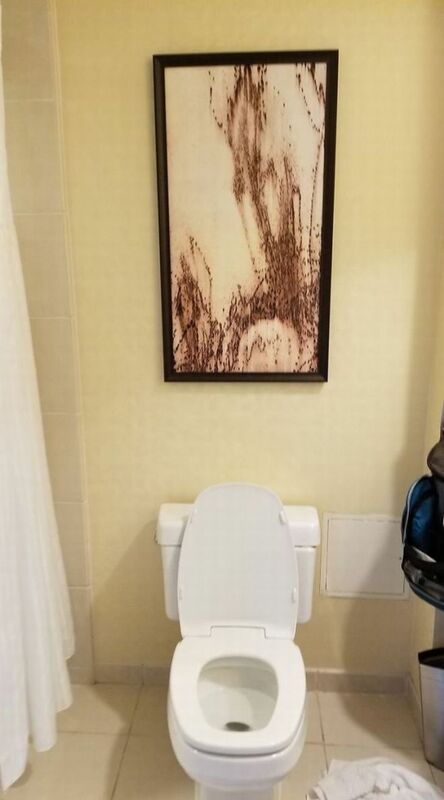 This art above the hotel toilet. 7. 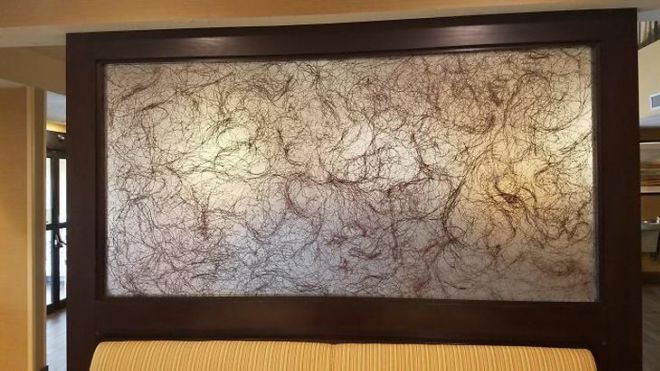 This hotel mural in the breakfast area. 8. 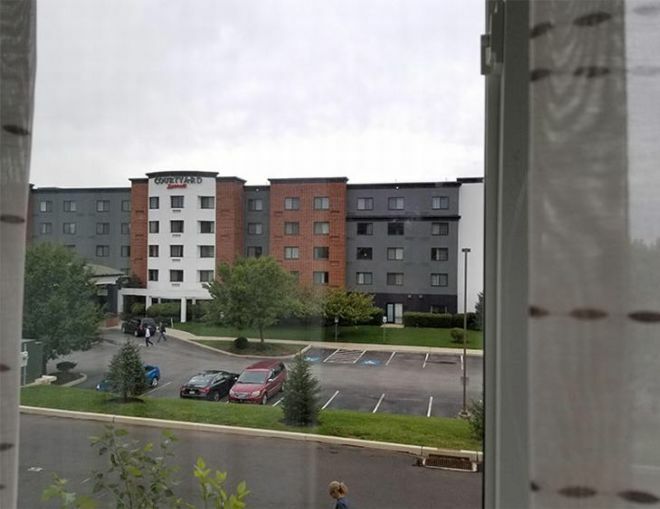 This person was told that his room had a courtyard view.